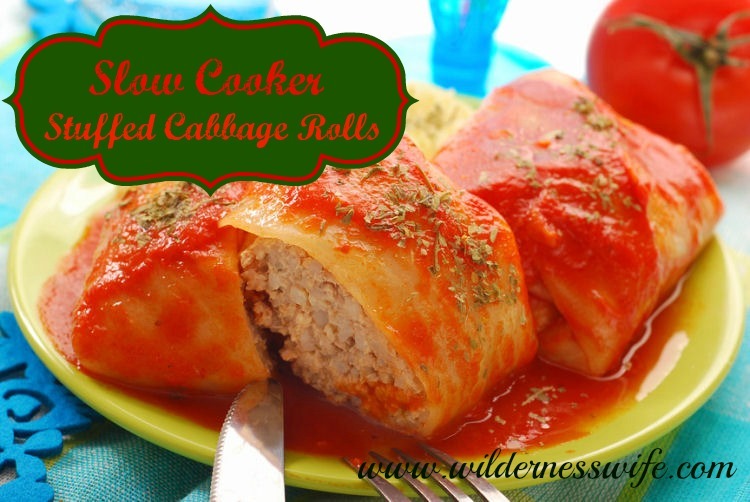 These Slow Cooker Stuffed Cabbage Rolls are tasty and healthy! 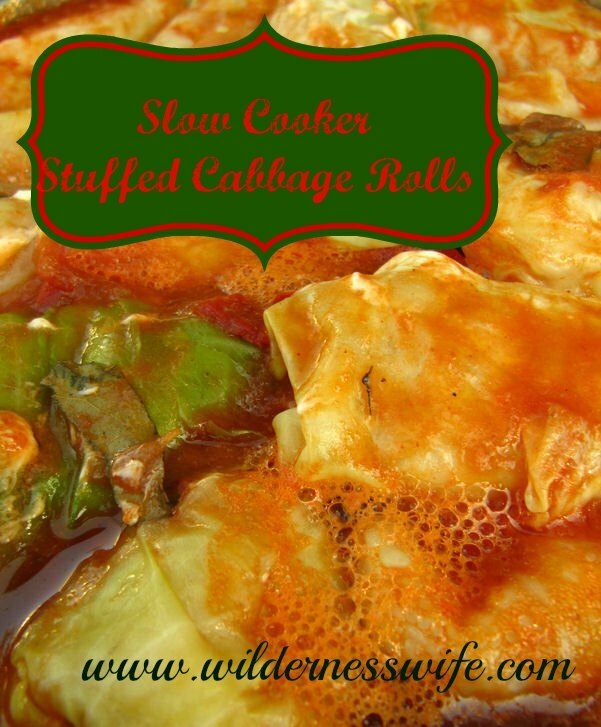 Today I am making one of Bill’s favorites – slow cooker stuffed cabbage rolls! This Slow Cooker Stuffed Cabbage Rolls recipe is absolutely delicious and makes cabbage, which can be an acquired taste, a lot more palatable for kids. Let’s face it…stuff something with hamburg and pour a some tomato sauce on it and most likely your kid will eat it! Who knew that cabbage was so healthy? OK, it’s a veggie and ever since we were little kids our mom’s were always telling us to eat our veggies because they were good for us. But recently I have become aware that cabbage is good for us in a number of ways. I have seen articles saying that it is beneficial for a lot of maladies such as constipation, stomach ulcers, headaches, obesity, skin disorders, eczema, jaundice, rheumatism, arthritis, gout, heart disease, aging, and Alzheimer’s disease. Now I’m not sure if all the hype is true and I don’t want to accused of handing out false medical info but I do know that cabbage contains a lot of Vitamins C and K, beta-carotene, sulfur, iodine, potassium and is a great source of fiber. So if we get our families to eat more cabbage it’s a good thing. I love living here in northern Maine. 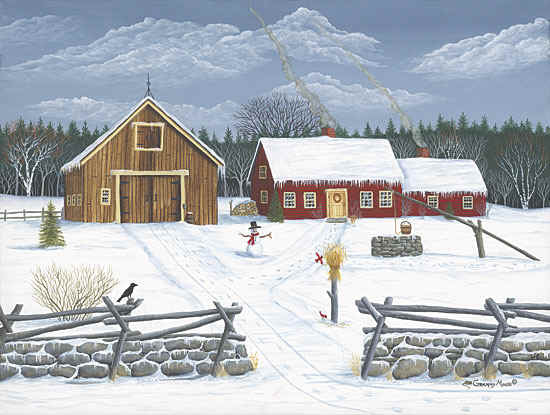 Yes, it gets brutally cold in the winter but you can stay inside, huddled next to a warm woodstove and watch the snowflakes drift by. The aroma of the Stuffed Cabbage Rolls simmering in the slow cooker makes me feel warm inside. And after Bill and Doug get done with the snow plowing (we are literally up to our eyeballs in snow with close to 6 ft. on the ground), they are going to love to sit down to a hearty meal like this. This is my favorite recipe for stuffed cabbage rolls. These cabbage rolls come out of the slow cooker moist and juicy with lots of flavor. I like serving them with a side of noodles because the sauce is so yummy but they are really a meal in themselves. You have meat, a veggie, and even a starch with the rice so this recipe can be a one dish meal or served with a small garden salad. These slow cooker stuffed cabbage rolls stuffed with ground pork and rice are a great one dish meal. This is a great one dish meal, and you can use different ground meats tailored to your families preference. Turn heat off and soak cabbage leaves for 5 minutes. This will wilt them and make them more workable. Combine remaining ingredients except for tomato paste and water. Place 2 tbsp. of the meat/rice mixture on each leaf and roll up firmly, tucking ends in as you roll. Place in the crock pot with overlap side down, stacking them on each other if necessary. Combine tomato paste and water and pour over the cabbage rolls. Cover and cook on low for 6- 8 hours. Pinned again & shared. Thanks for coming to the Inspiration Spotlight party. I need to learn from your recipe, I have been making cabbage rolls forever but they end up a little dry and I bet the slow-cooker method would work great!! Thanks for sharing on Friday Features this week, Im sure you have so many recipes you could share as well. 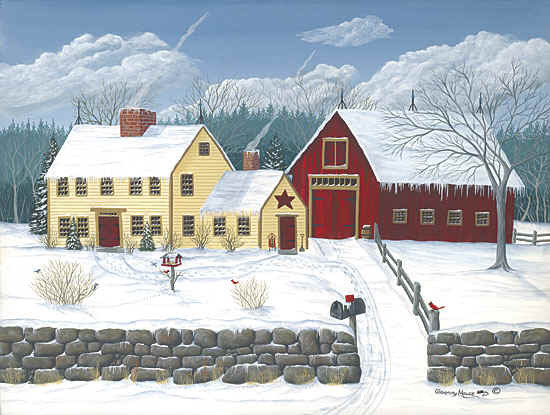 Keep in mind I also have a Wordless Wednesday each week. Thanks so much for sharing your recipe at Share The Wealth Sunday! It looks yummy! Never thought of making cabbage rolls in the slow cooker. Will have to give this a try. This looks delicious and South Beach Diet friendly! Definitely pinning for later! Thank you for sharing! Yummy!! I am loving my slow cooker this summer! These look great. I saw them at the Inspire Me Monday party and knew I had to get this recipe! I love slow cooker recipes! Pinned & shared. Thanks for coming to the party! Hope to see you again this week! I am all about slow cooking! This recipe is going into my pinterest food board! Wow! These look so delicious! I love slow cookers recipes. They are the perfect solution for busy days. Thank you for sharing this recipe. I’m definitely giving this a try. This is a traditional winter dish in my home-country, but we make them with cured cabbage leaves. They are my favorite. I never put cinnamon but will definitely try! Thank you for linking up with Thursday Favorite Things! I LOVE ANYTHINK TASTY AND HEALTHY, AND THOSE ROLL LOOKS SO GOOD. They are yummy and you can make them very healthy by just doing things like using brown rice, lean ground meat, etc. I remember my Mom making these when I was younger. Of course, there were no slow cookers then! 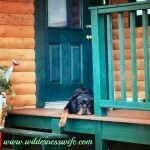 Thanks so much for linking to the This Is How We Roll Thursday link party! I can’t wait to see what you share next week! I make cabbage rolls too, but my tomato sauce is a bit different. And I don’t make it as often because cooking the cabbage can be a pain. I’m totally trying to make it in the microwave and the freezer tip! Thank you for sharing on Found & Foraged! can i put in raw rice and increase liquid, or just follow these ingredients and slow cook longer – thank you. I have never tried it with the raw rice so I can’t really tell you it would work. I assume you mean canning. I have never done them in canning jars. If I have leftovers I freeze them. Canning is very much a science and the chance of botulism is high if things aren’t done strictly by the book. I do know that you would have to use a pressure cooker to can this type of item as the water bath method would not get the temperature high enough to kill all the dangerous pathogens. I would suggest you contact your local County Extension service as they usually have lots of info on canning. This is not something to experiment with! Your dog is so sweet! What a great picture. And these look delicious! Thanks for linking up at Wordy Wednesday! These sound yummy! I love cabbage rolls! Sorry I didn’t see your question earlier but its a holiday weekend. I can’t guarantee the results with less time as I have never tried it. Raising the temp setting will cook things quicker but when working with raw meat in a slow cooker setting, I would want to be sure that it was cooked although the way through. You could try it on a 4 hour cycle and then take out one roll and test it to see if it was cooked through. If not totally done you could transfer it to a casserole and microwave it to be sure it was cooked through. Do you cook/drain the beef before you roll it up….I didn’t see any mention of that, and therefore would assume, no…..would that be a correct assumption? No, there is no draining to be done because the meat is raw when you wrap it in the cabbage leaves. It cooks while rolled in the crockpot. NO ONE HAS EVER MENTIONED THAT YOU CAN TAKE YOUR CABBAGE HEAD, PUT IT IN THE MICROWAVE, AND HAVE BEAUTIFUL LEAVES TO FILL. I freeze my cabbage and take it out and thaw it. The leaves are pliable and great for making cabbage rolls. It just saves boiling water and soaking the leaves. One less thing to do while making them. What a great idea! I’m all for saving time and making things easier! Thank you for sharing this. If you like take the core out before freezing, but either way its easy to work with once thawed. I’ve never come across that tip before, and I come from a family where cabbage rolls are a staple. Cabbage is going in the freezer right now! It is a great tip and it does work! I tried it and it is a great idea! The recipe I got years ago included chopping the rest of the head of cabbage, and putting that at the bottom of the pan or crockpot. Then place rolls on top, and pour on tomatoes or V8 juice, or whatever you prefer. I always loved the cabbage! These would be great made with the vegan crumbles or meat substitutes too for those of us who do not eat meat. Even rice with extra veggies or beans would be good I bet. I’m definitely going to try these. Your instructions for softening the cabbage leaves sound easy. Like your ideasl be trying them next time I do these as I love changing things up. Thanks so much for stopping by and sharing this with us!!!!! Sounds very interesting! Thanks for sharing it with us. I must give it a try! Traditional Slavic dishes are always very satisfying….ethnic comfort food from another culture! Does the meat have to be browned first??? No it doesn’t. It cooks thoroughly during the slow cooker process. I sometimes will brown large pieces of meat (roasts, etc) before putting in the slow cooker but that’s just for appearance and sometimes flavor. The cabbage rolls look so good, I am going to try them tomorrow. Instead of tomatoe paste , use a couple cans of V8 juice to cover rolls, same for stuffed peppers. Mix the hamburg with pork and raw minute rice, add some V8 to the meat and rice mixture. Tastes alot better than useing just tomatoe paste. I love cabbage rolls but I would never put cinnamon or nutmeg in them? I would have to taste them before I would ever try it! I love stuffed pepper too! I really need to try my hand at Stuffed Cabbage Rolls – these look wonderful! Plus, I love any chance to use my slow cooker. 🙂 Thank you for sharing at #GetHimFed Fridays, hope to see you again this week! I am always looking for good slow cooker recipes and this looks delicious! Thanks for linking up at Well Crafted Wednesdays! Looks so tasty. I love stuffed cabbage. Pinned! This recipe looks good. 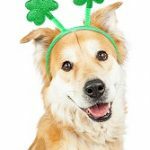 I love the picture of the dog. That’s too cute. These look yum! My mom use to make them all the time. Will be giving this a try! Yum! These look delicious! Can’t wait to try them!! Pinned it! Thanks for sharing this with us at One Sharendipity Place this weekend! I’m definitely not a warm weather girl. When friends go to Florida in the winter, I just wave goodbye. I have no interest in going there. 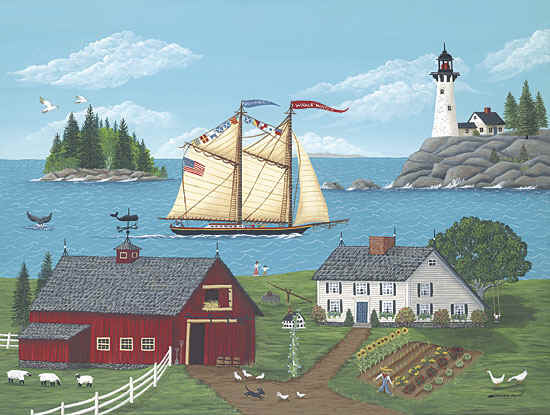 You need to come to Maine in the summer, even on the hottest days in the evening temps go back to mid 50’s.